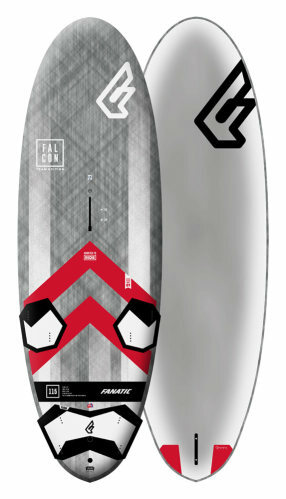 The fanatic falcon light wind 2019 is online available and also at the Telstar surf shop . 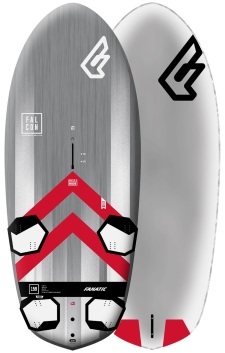 Order this fanatic falcon light wind 2019 simply by adding it to your cart. Check out our other Fanatic products online. The Falcon Lightwind is designed to land in the very lightest wind and makes windsurfing possible almost every day of the year. This could be your new most used board! This lightwind version is based on design elements of the Falcon TE range and has all the efficiency of Fanatics slalomboards, making it possible to plan as early and easy as possible. Issued in just one size and the affordable Biax Fiber construction, the Falcon Lightwind is designed to be the only board you need for the days you thought they were too light for windsurfing. It comes complete with a Choco 50cm race fin, while the Deep Tuttle Box is approved for use in foils. Although efficiency and early planning are the focus, this board has evolved from Fanatic's PWA race program, which means it's fast. Ridiculously fast, even in marginal winds. Stop waiting for the wind and go windsurfing with the Falcon Lightwind!